This video compares the contrasts cost/benefit paradigm of Indexed Universal Life (IUL) to that of a hedge fund. This comparison takes into account fees, risk management, taxes, and additional benefits. 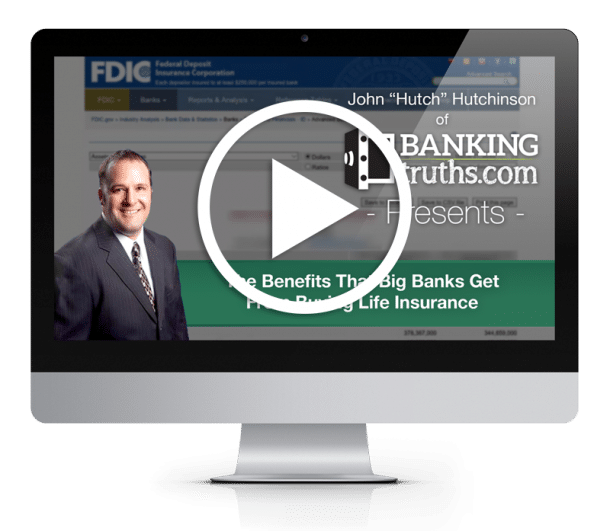 This is Hutch with BankingTruths.com. And today we’re going to talk about hedge funds and compare and contrast them to Indexed Universal Life or at least certain features and benefits that indexed universal life or IUL offers. So the reason why really rich investors gravitate towards hedge funds isn’t always to outperform the market per se it’s often to get controlled growth or consistent yields and so they pay a lot of money and hire these brainiacs on Wall Street to harness and control the volatility of the stock market which can sometimes act like a drunken sailor as you’re seeing here in this chart to produce those consistent returns for them. Now, this chart is showing the S&P 500 from midway through 2006 all the way to present day midway through 2018 and you can see that there’s been some really good times but also some really bad times in there. When you buy into a hedge fund the fees are often this is standard 2 percent every year plus 20 percent of your profit. You could see in the S&P that that could possibly have taken a while after 2008 assuming that they were somewhat tracking the S&P 500. There have been criticisms of late that since the S&P 500 has gone straight up since and that a lot of hedge funds are even outperforming this. But going back to the fee conversation when you unbundle the fees of a properly structured Max funded indexed universal life policy over the course of a lifetime you’re going to find that often time it’s around one and a half percent to two and a half percent. So if we averaged over the life of the policy this is what it’s going to be. What’s ironic is indexed universal life is often criticized because the fees start out really high and then go down substantially in the future versus hedge funds or any sort of money management where the fee is really linear. It starts out low as you often have less money in there but as it grows you’re going to pay more and more in fees. So you’re going to pay this fee structure on your highest balance. Whereas with indexed universal life you’re going to pay the highest fees when there’s the least amount of money in there. So the first premium, second premium, third premium, fourth premium, fifth premium. These are going to be your highest fees and then a lot of times the fees fall off a cliff and the returns are somewhat or excuse me the charges are somewhat comparable to index funds. Now you could say, look I don’t invest in hedge funds or I just have a financial planner. Oftentimes when you look at their fee, which is usually around the call it the one to a one and a half percent range and you add the fees of the mutual funds or the ETFs on top of it. We’re getting close to what the fees of indexed universal life would be. And I know some of you are saying no, I just do index funds. I don’t have an advisor. Okay great. So here’s what no index fund, no financial advisor, no hedge fund hedge fund manager can offer you: what they’re not going to do is they’re not going to say look I’ll contractually sign my name to a zero percent floor so if something like this happens, it’s not happening for you. You have a contractual guarantee of no less than zero percent. Now that doesn’t include the fees for the insurance but even with money management when you earn 0 percent in a hedge fund or anywhere else the fees still come out. So that’s a wash.
Now they’re also by doing so, they’re going to limit your upside and in today’s environment caps may be 11, 12, 13 somewhere around there but if there was a hedge fund manager that said hey look I’m going to sign my name contractually to the 0% floor and offer you this upside with no downside risk. I know a lot of people that would probably sign up for that. Now the other thing about it is, no hedge fund manager, no mutual fund, no index fund is going to say look I know you’re trying to put money in here because you’re saving for your retirement and you’re going to keep putting it in here and we’re going to grow it over time. But you know what if you die prematurely, if you die prematurely, have this death benefit that comes in and basically self-completes all the payments that you never made. We’re going to give you all the growth you would have been entitled to and we’re just going to double or triple or quintuple or “tentuple” your account immediately if you die. There’s no fund manager that’s going to do that. They’d go out of business. The only people that can do that are insurance companies. And I know a lot of people when they get indexed universal life they’re not really doing it for the death benefit it just kind of an aside which is fine but because the death benefit exists there are certain tax advantages that are really unique to life insurance in general – doesn’t have to be indexed universal life, could be whole life as well. So again going back to our analogy, no index fund, no financial planner, no hedge fund managers going to say, you know my fund has this special deal with the government because we provide a social good for widows and orphans and failing businesses that any of the growth you get as long as you keep your fund, as you keep your money within my fund, any of the growth you get is not going to get taxed. And even if you take out distributions as long as you keep money in my fund enough to support it throughout your lifetime then none of these distributions will get taxed and will still give your heirs a little something when you die. And upon that then, any potential tax that could have occurred would just be completely forgiven. There’s just going to be no tax on any lifetime distributions much less on the death benefit that we provide to your heirs. So as you’re considering IUL as one of your financial building blocks look at it through the lens that you look at every other purchase in your life. So you don’t always buy the cheapest thing or you always aren’t looking for a free lunch. You don’t mind paying as long you’re getting value for your money. And when you’re considering the cost and the charges of IUL instead of just taking the blanket opinions out there that it’s too expensive. Take a look at what you’re getting for your money and see if you can actually get those benefits anywhere else. I’m going to quote my good friend Rao Garuda from one of my study groups. He says it’s not too good to be true – it’s too good to be free.